We at Shoes.co.uk spend a lot of time and energy attracting people to like the company on Facebook – we do all kinds of weird and whacky posts and pepper them with interesting pictures of our ranges featuring a host of offers that really do give a great deal to our customers. We run sponsored ads on the Facebook network so that people are encouraged to like the page because one of their friends do. We run competitions to encourage people to ‘like’ the page and we post incessantly about all kinds of stuff to inspire people to follow us. Photos, fashion tips and hints, silly jokes and much, much more all in the name of ‘Engagement’ You may argue that some of what we do is a little perfunctory, cheeky, irrelevant to our target audience but we don’t think so and anyway our view is not taken in to consideration – its down to Facebook itself to decide whether a post is worthy or not. Time was that of you had a 10 followers on Facebook and you posted something up then they would be able to see your post, it was kind of guaranteed. You could even send a group message out so that if you had a particular offer then you could drop it in to their messages. Then came the era of ‘Edgerank’ – Facebook introduced an algorithm which worked out how engaging your page posts were – the more ‘interesting’, (because they were liked or shared , your previous posts had been, the more your latest post was distributed amongst your followers. Remember these are your followers – you have attracted them to your page through the Facebook ad network where you can pay 10p, 20p, 20p or more for each ‘like’ – You may have run competitions using Rafflecopter or one of the other now defunct competition networks. Defunct? Well there was a time when you could run competitions on your page wall. You basically ran a sweepstake, asked people to like and share a post and then picked a winner. This was kin of stopped. I say ‘kind of’ because suddenly from nowhere a set of rules was introduced setting our how you could run a competition – you were now not allowed to post a competition on your wall for fear of having your page deleted. There was a vague rumour going round Facebook that some Indian company with half a million likes had been taken downd because they ran competitions on their wall and that wasn’t allowed. Which all seems a bit like sour grapes. I mean if Facebook believes that competitions on a page are wrong which quite frankly they kind of are, (little regulation in how winners are picked), then they should stick to their guns and continue to insist on apps to run them. But alas no, as soon as Google picked up the company, Facebook decided it was all over – two fingers job – the enmity between the two continues. So now what? well everyone in the world of Social media will tell you that its a great investment to garner as many likes to your page as possible – you can engage with these people so surely that is a good thing, right? erm well wrong actually. Sure you can spend all your time running competitions on your page – pick your mates to win if you like, no one checks (we do not do that by the way! 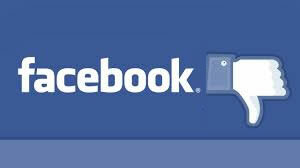 ), post up anything you can to encourage people to like your page, of course its going to be relevant content! – you are the expert! they want to listen to you, that’s why they liked your page. You can even pay through the nose for all those likes – run sponsored stories, run ads do anything just get the likes. Then engage. But engage to who/m? – if you have 20,000 followers and you post up a photo of your latest product you are likely to engage less than 5% of your followers if you are lucky! and who decides who sees your post? Facebook of course! – they send your post to a few of your followers, maybe as few as 100 (out of 10,000) – if some of those people like your post and god forbid share it then it goes out to a few more and then you might get to 10% – if you are really lucky then this could get to 20% – but the chance of engaging any more is gone, lost in the annals of history – its just not possible anymore – unless you are giving away a house, have a photo of a ding donkey etc etc……. Of course you will read all kind of postings from Mari Smith, ( The best Facebook guru), Social Media Examiner and any one of the numerous experts in their field telling you how to make your posts more engaging so that more of your followers will see what you are writing and your organic ‘reach’ will improve but WHY? ?? uh? why? – why can’t I reach all of the people who have chosen to follow me? Then if they do not like what I am posting up – let them switch me off – let them ‘unfollow’ me. Why can’t it be like this? The best analogy I could think of is that – We collect email addresses from people who have bought from us and we email them gender and brand specific offers if they have agreed to accept our newsletter. Imagine then preparing an email – you’ve worked hard on designing the right images, the right offer, the right message – so now you have the perfect target audience, the right market – all lined up, say 10,000 of them. You send the email but there is a filter set up which means the email only gets to 100 of them. Oh no what’s gone wrong? – all that money spent on getting those email addresses but you can’t reach them!!! Well isn’t this the same thing? isn’t this exactly the same? – having allowed you two to engage with each other, to connect through the like button, – Facebook will now not let you reach them – they are filtering every post you make and stopping the people, (who, in many cases you have effectively bought), from seeing your message! heard this one before? its a joke right – no one has that power anymore? do they? Well actually yes, Facebook does and really the only was around this is to………tad ah…..wait for it…..pay again! you can now ‘promote’ your post so that more of the people that you have paid to like your page – can now see the post that you want them to see. Its rather like inheritance tax isn’t it? your Government taxes every penny that you earn, takes a bit more in VAT and other taxes then the final kick in the balls – they take another nip after you’re dead. priceless. Well that is Facebook for you – why else do you think their share price has more tan tripled in a little over a year – its building up to be one big cash cow because saps like us allow it to happen. We set the pages up in he hope that our followers can se our posts then we pay again and again and again. Facebook needs to think and change fast or millions of small advertisers like me will just wake up and realise that frankly this company is taking the p*ss!